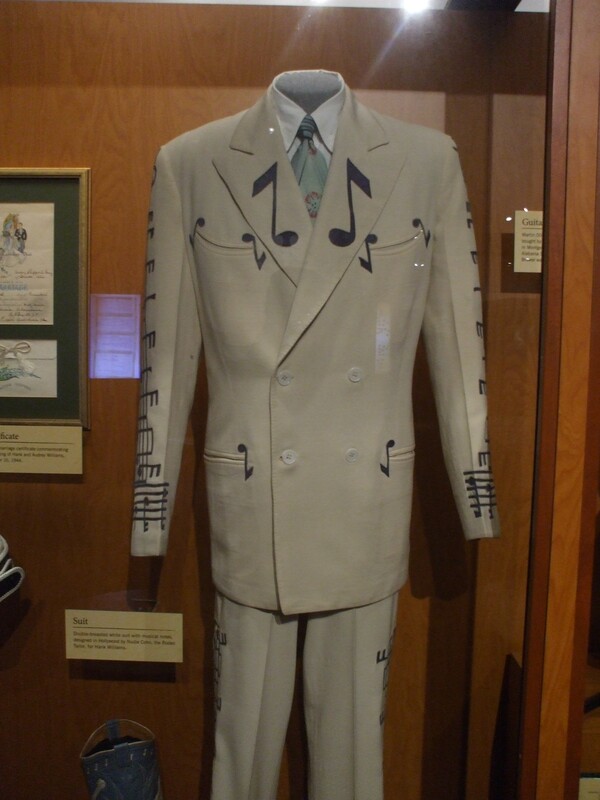 One of Hank Williams' suits. I also took a photo of his star on the Nashville Walk of Fame (seriously boring photo), and just as I was framing the shot, a man beside me said: "Yer gunna wanna be takin' yer hat off before ya take that photo." I like to think the light at the top of this photo is somewhat divine. 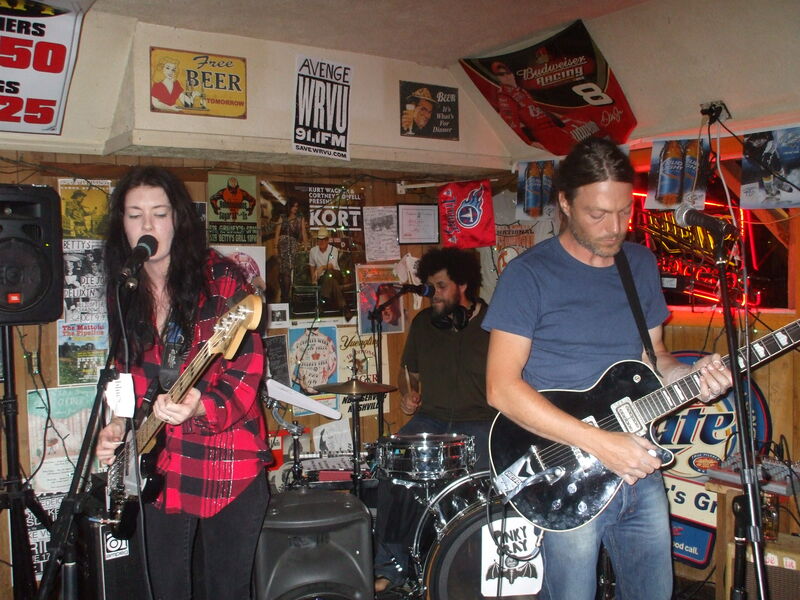 Kelly (Punches) & Matt (Crowded House) Sherrod on bass and drums respectively, together with their canadian pal Irwin performing as Pinky Gray at Betty's Bar and Grill. 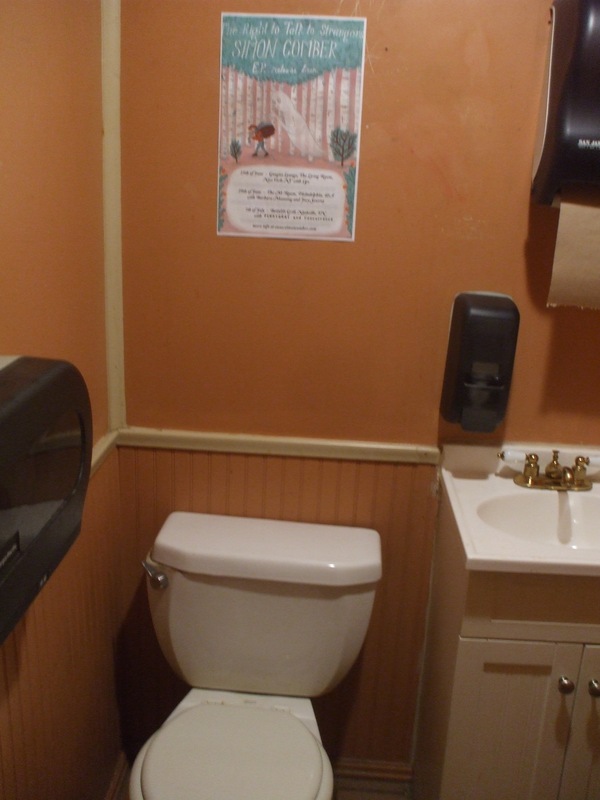 The super-cool RIght to Talk to Strangers tour poster designed by Sophie Watson, and placed with utmost care and promotional savvy above the mens toilet at Betty's by waitress/show booker Leslie Keffer. (I'm told one was placed in the women's toilet too.) Yep - I've made it!